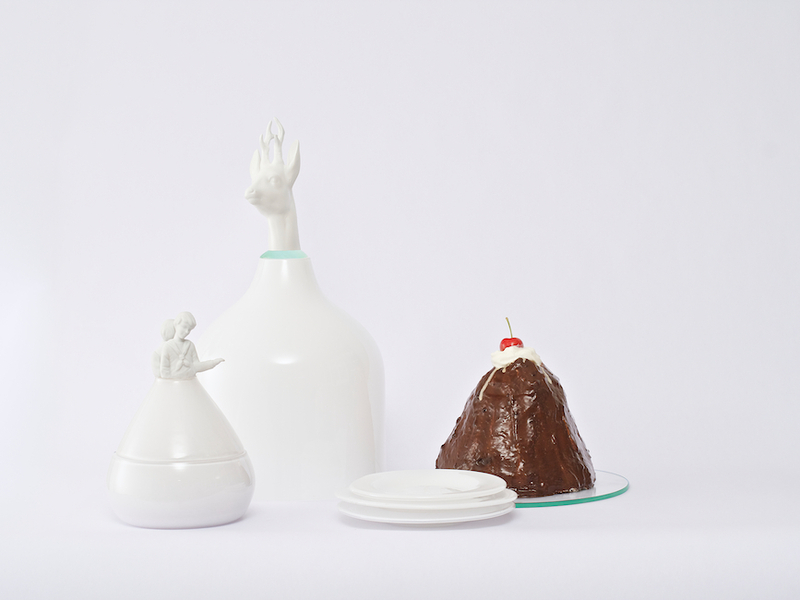 The set of porcelain for sweets is inspired by a Slovak folk story about children lost in the magical woods. They are not allowed to drink from the pool, where deer come to drink. One of the siblings can not resist, he drinks from the water and changes to a deer.